is the Draper Chair in American History at the University of Connecticut, Storrs. Her latest book is The Slave’s Cause: A History of Abolition (2016). Occasionally, a mistruth spreads that the Second Amendment to the US Constitution was based on the need for slave patrols. It wasn’t. It grew out of an old republican fear of standing armies as instruments of tyranny. But the surveillance of black people and Americans’ obsession with guns and the right to bear arms do have a deep and long entangled history. Though they did not originate for this purpose, the fact is that armed militias in the US quickly developed into racist, anti-black enterprises. Militias were meant to protect property rights, after all, and in the slaveholding republic, slaves were very valuable property. So in 1792, when Congress enacted the first Militia Act, it restricted the right to bear arms to white male citizens. To do so, it had to exclude African Americans, some of whom had served in the Continental Army during the revolution. In the South especially, militias often doubled as slave patrols, hunting down and punishing runaway slaves or suspected runaways. In the 19th century, before Emancipation, over 90 per cent of the African American population was enslaved and the legal regimen of slavery defined runaway slaves as fugitives from the law, as criminals. As a result, no black person, free or slave, was ever above suspicion in the eyes of the law. The legal encouragement to see African Americans as fugitives was not just in the South. The fugitive slave clause of the Constitution and the Fugitive Slave Law of 1793 recognised southern laws of slavery in the North, even facilitating the kidnapping of northern free blacks into slavery. In short, American law treated people of African descent as fugitives. Abolitionists, anti-slavery lawyers and politicians came together to oppose the repressive reach of this regime that rendered African Americans fugitives. Opposition to the slave regime terrified slaveholders and their allies, and in reaction, in 1850, they passed the draconian Fugitive Slave Act. The Fugitive Slave Act called on all adult white male citizens and officials in the North to assist slaveholders and apprehend fugitive slaves, or risk heavy fines and imprisonment. Abolitionists condemned the ‘lawless law’, which they said flouted due process. It denied suspected fugitive slaves trial by jury, redress in northern courts, and basic legal protections. Often condemned by conservatives and slaveholders for advocating their own ‘higher law’, abolitionists insisted that the state and the law be held accountable to the principle of human rights. ‘Equality before the law’ regardless of race was the gold standard that the radical antislavery senator from Massachusetts, Charles Sumner, upheld. Nineteenth-century African American abolitionists argued, in essence, that black lives mattered. David Ruggles and Charles Langston countered the extreme implications of the Fugitive Slave Act by arguing that ‘self defence’ and ‘self preservation’ was the first law of nature. Two of the most famous fugitive slave cases in the decade before the US Civil War were those of William ‘Jerry’ Henry in Syracuse and Anthony Burns in Boston. Henry and Burns were detained and arrested on the pretext of stealing, a 19th century version of stop-and-frisk, before being remanded as fugitive slaves. Perversely, the 1850 law also added a monetary incentive for commissioners who ruled that that the suspect was in fact a slave, not a free person. They received $10 for remanding fugitives versus $5 for setting them free, adding bribery to injustice, abolitionists claimed. (Today’s version of this perverse policy is for-profit policing, where counties prey on vulnerable and poor minorities for revenue.) These unjust policies moved many to action. Abolitionists attempted to forcibly rescue suspected fugitives from northern jails and courts. In the Burns case, such attempts resulted in the death of a federal marshal. With the demise of slavery, the policing and disciplining of African Americans did not disappear or diminish, it grew. 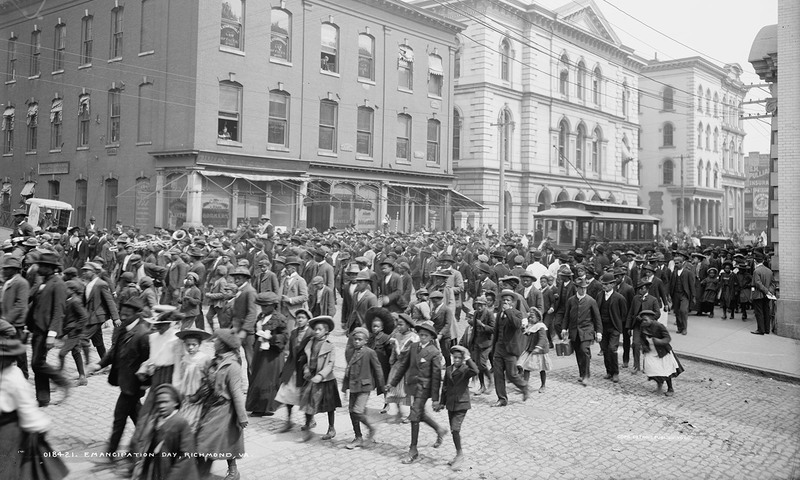 Black codes criminalised black economic independence and mobility and legal and extra-legal violence curtailed black freedom throughout the South. During Radical Reconstruction, the attempt to establish an interracial democracy after the Civil War, these state laws were overthrown and federal laws and constitutional amendments established black citizenship in the country. But after Reconstruction, it was open season on black people. Lynchings, racist pogroms, and vigilante violence accompanied state repression in the form of convict leasing, debt peonage, segregation, and disfranchisement. The use of black convict labour, ‘worse than slavery’, also fortified the regime of fugitivity for thousands of blacks. African Americans were defined as quintessential criminals in law and popular culture. In the urban south and later north, the hyper-policing of black people and neighbourhoods accompanied the professionalisation of police forces and gave birth to our modern scourge: police brutality against African Americans. The mass incarceration of black men in particular, even in the aftermath of the Civil Rights movement and the election of the first African American president, continues to undermine citizenship and prolong black fugitivity. The state of fugitivity, or the criminalisation of blackness, has outlived the institution of racial slavery and continues to haunt the United States. The wanton killing of black men, women, and children, whether at the hands of the police or private parties, ought to belong to the dustbin of history. Historically, black Americans have been the preeminent victims of the policing powers of the government. American society has viewed armed black men as a singular threat: from the era when slave rebellions were defined as petty treason against the state, to when returning black veterans from the First and Second World Wars were targeted by racist mobs, to the Black Panthers. Given the peculiar history of racial oppression in the US, the fear of the armed black man is almost reflexive. The right to bear arms may not be racially restricted in law but it has always been suspect for the likes of Philando Castile and Alton Sterling and other black men. One can imagine how Micah Johnson and Gavin Long, who, after all, had risked their lives for their country, became enraged at the never-ending stories of black deaths. One need not condone their actions to understand their frustration. As Mahatma Gandhi put it: ‘An eye for an eye only ends up making the whole world blind’. The slain black police officer Montrell Jackson epitomises the nihilism of violence. It is high time, then, to stop making gun ownership the marker of citizenship and to stop making blackness the marker of criminality.